‘It’s the most Muckiest time, of the year’! Dredging a moat at this time of year was never going to be a tidy job, but we got there in the end. An 8 ton digger and a 6 ton dumper kept the boys spirits up though! 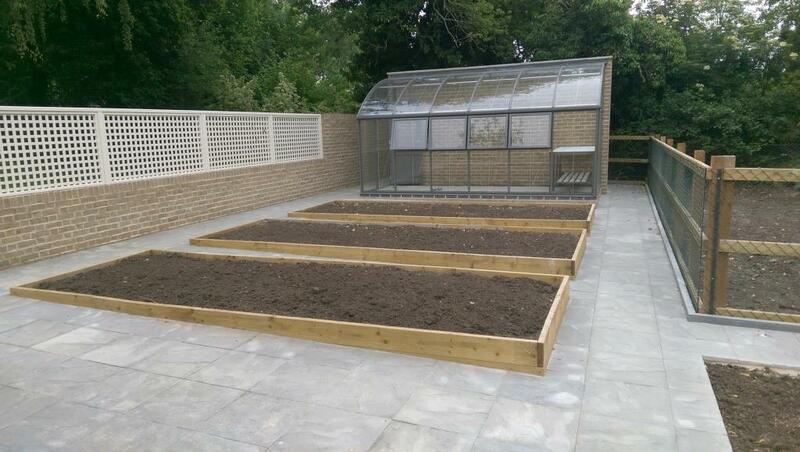 This walled garden near Abingdon was designed to keep local badgers out. The chainlink fencing drops down into the ground, along with concrete slabs 450mm beneath. The bricks will compliment the new house which is to be built, being Coleford Cotswold Buff. The ground was an old orchard, so the soil was of a high quality. 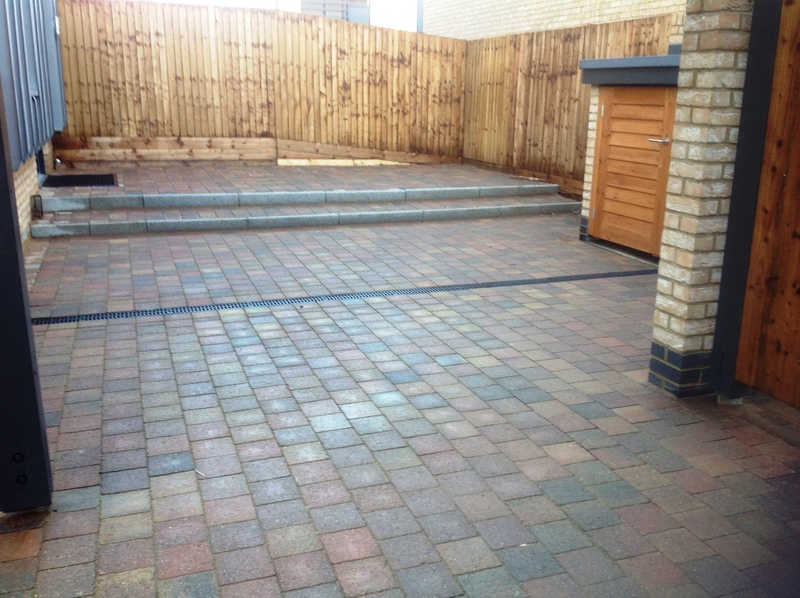 These pictures show the transformation from a bland block paved garden into a usable contemporary entertaining area. 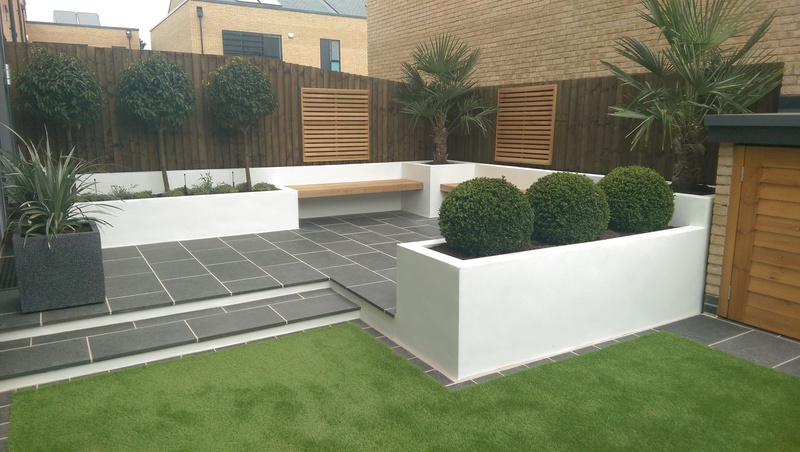 White washed rendered walls, basalt slabs, artificial grass and mature planting brought the garden design to life. 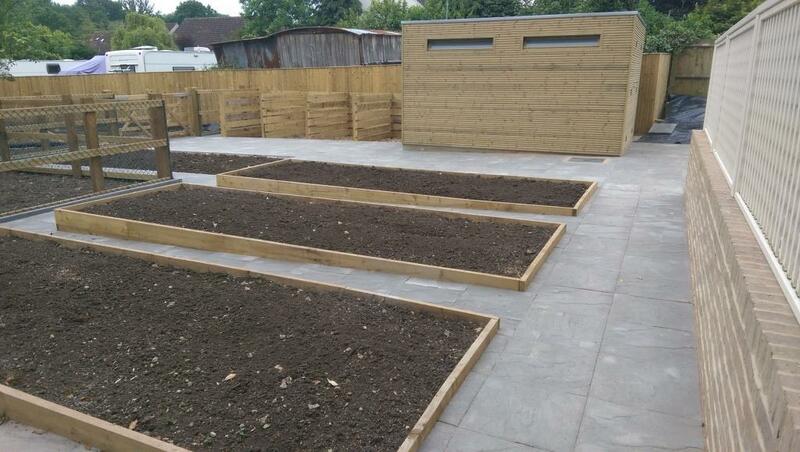 The benches and slatted panels were hand made from cedar. 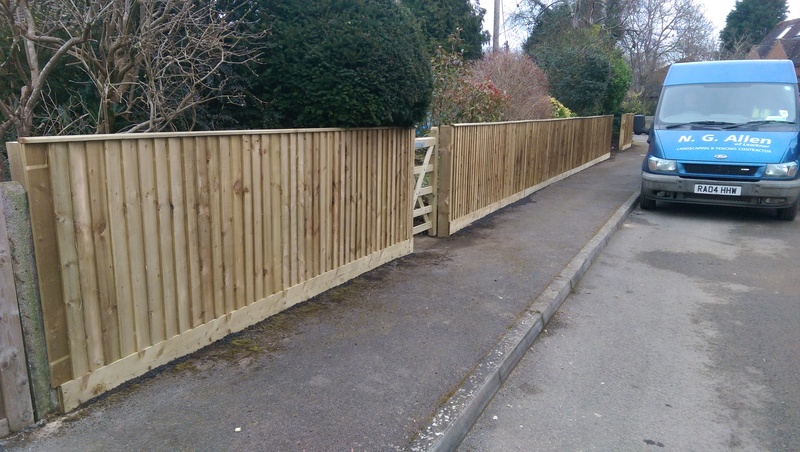 We managed to incorporate the existing concrete posts into this close board fencing by using 4″ x 2″ wall plates on each side. The 5 bar gate creates a smart entrance for the house, and allows a similar but larger gate to be used at a later date for the driveway. This driveway was in need of repair. So we levelled with a digger, rolled and then spread 20 tons of Oxfordshire 20mm gravel. A quick way to tidy up a tired drive! 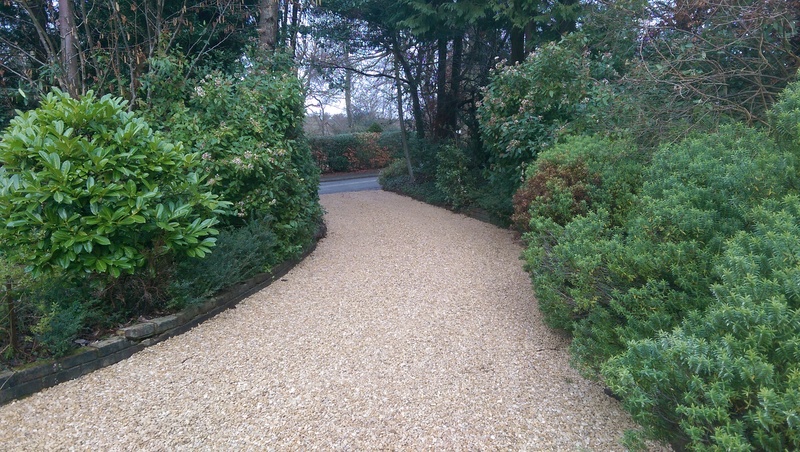 100 square metre gravel driveway complete in Watlington. 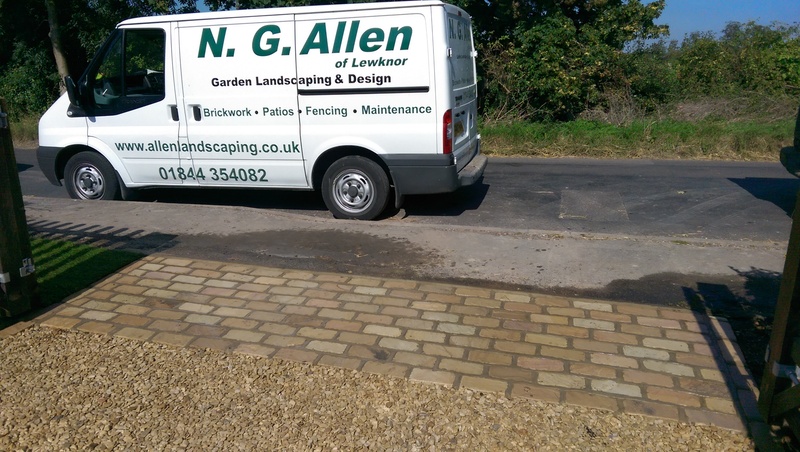 Forest Glen sandstone cobbles creating an attractive drive apron, and helps to keep the gravel off the road.